It appears underneath your profile, but does it mean anything important? WHEN YOU DECIDE to view your profile on Snapchat (by swiping down on the main screen), you will see a score located underneath your profile code. Some people might have scores that range in the tens of thousands while others could be stuck in the hundreds. It has no real impact on your overall usage, but since it appears below your Snapchat QR code, you’re probably curious as to how it’s determined. 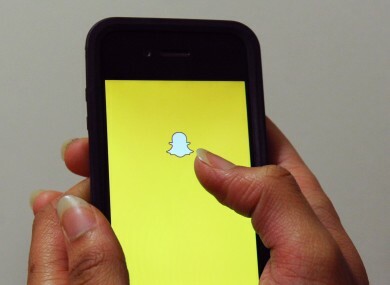 To start, Snapchat itself says that the score is “a special equation combining the number of Snaps you’ve sent and received, Stories you posted, and other factors”. The majority of your score will likely come from private snaps sent and received. For a start, you can go into your friends list, and tapping the Snapchat logo will present you two different figures side-by-side (If you’re on Android and tapping it keeps bringing you back to the camera, just hold down on it and the numbers will appear). The first figure is how many private snaps you’ve sent while the second is the number of snaps you’ve received. From testing it out, each snap that’s sent or received represents one point. Posting a snap to stories also increases your score by a point while texts sent or received and viewing stories aren’t counted. The ‘other factors’ – which is vague and could allude to anything – is the likely reason why your score will be higher than the number of snaps you’ve sent and received. So the only tried and trusted method to increase your score is (surprise, surprise) to send more snaps to people. As mentioned earlier, the type of score you have doesn’t impact you in any significant way, save you getting a few trophies, but at least you have a better idea as to how it’s determined. Email “How exactly is your Snapchat score calculated?”. Feedback on “How exactly is your Snapchat score calculated?”.